One of the great features of the iPhone 4 and iPhone 4S device is the fantastic quality of the video camera that is built into the phone. There have been many videos created using the iPhone that have looked extremely professional. One of the problems however is that if you want to quickly record video on the fly, it might take you quite a while to unlock your phone, go to your camera app and select video mode. 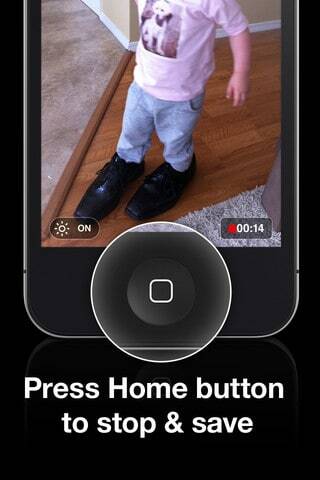 Luckily, there is an app out there that will allow you to start recording video on your device a lot more quickly. The app in question is named The Capture – Quick Video Camera and it basically allows you to get to your video recording mode a lot faster. All you have to do to start recording on the device is to press the app and launch it. Then it will automatically start recording for you. In order to stop the recording , all you have to do is to click the iPhone’s home button. This makes things a lot simpler and if you are trying to capture those moments quickly, this Quick Video Camera app will be extremely useful for you. The app is available via the iTunes app store for the price of just 99 cents so it is a real bargain. The app also allows you to share your videos via iTunes home sharing as well, allowing you to get the content to your computer quickly.